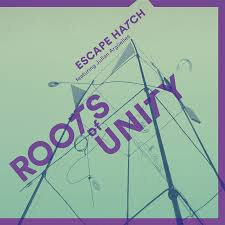 Escape Hatch is a trio of Italian-born double bassist Andrea di Biase with Englishmen Ivo Neame on piano and drummer Dave Hamblett. For this, the band’s debut album recorded in 2014/15 they are joined by the English saxophonist Julian Argüelles. The compositions are from di Biase and Neame, and reflect the bassist’s interest in mathematics - the album title comes from “any complex number that gives 1 when raised to some positive integer power n” it says here - as well as the pianist’s wide-ranging influences which sound like they take in a lot of 20th-century classical music as well as jazz. The bassist isn’t the first contemporary jazz musician to have found inspiration in maths, but the listener, like myself, who suffers from a boggled mind when faced with numbers need not worry. The lovely thing about this band is its ability to stretch out and create all kinds of emotional colour, passionate drive and diversity of artistic interest from what might be esoteric base materials. The generous opener, Hysterical Revisionism, finds Neame darkly powerful, di Biase and Hamblett in hustle-bustle mood, and Argüelles uncannily managing to be both athletic and rhapsodic at the same time. La Strega is similarly delicious but more relaxing in energy level, while the title track wears its structure a little more openly. Moonbathing initially feels a lot less serene than the actual thing - perhaps it’s the fractured reflections of broken water under the moon that we’re getting - but once the tenor enters there is a bit more of a floating feeling. Today, Tomorrow, Never has the saxophonist on soprano. If the trio-only tracks demand a little more work from the listener that is probably excusable - Argüelles has always had, for me, the knack of making the difficult sound easier, and even when I don’t quite understand what might be going on I can always luxuriate in his great tone and lyrical phrasing. A rewarding listen, not only for the group cohesion but also for the chance to hear Argüelles and Neame stretching out in solos.